Thread: Anyone have experience with this pump? I have just finished a long trip refueling with my own biodiesel. I am looking at buying a "spare" pump just in case something goes wrong during a trip. This pump is less than half the price I paid for the pump I now use and was not available when I bought my current pump. It "looks" as good as the one I now use. Re: Anyone have experience with this pump? 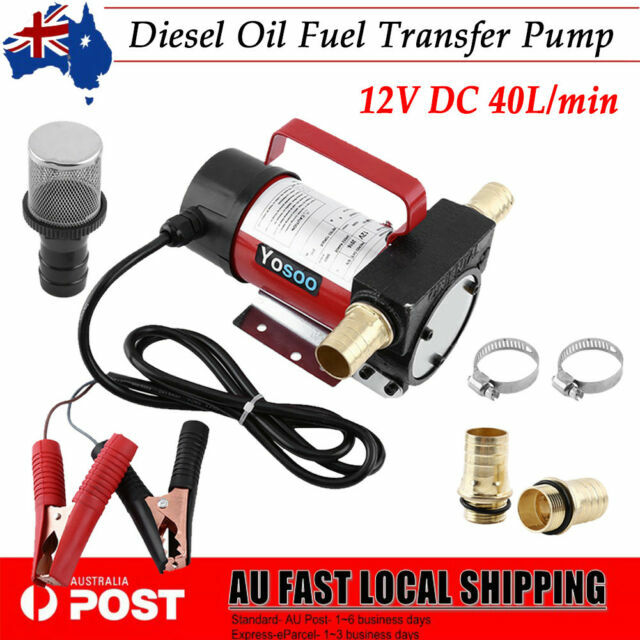 I just ordered this pump for $34.99 including postage. I will give a further update after it arrives. Ive got 2 of them one for transferring bio, and one for moving WVO They work well but the switch on the back has burnt out, I just replaced it with a better switch. They will pump WVO as long as its not too thick. Tilly, I just found one for $32.39 with local stock and 1 week delivery. They look good and I look forward to more easily moving my oil. That looks good - I will add it to my eBay watch list for when my existing 600W water tank pump finally dies. It has been going strong for 5 years now, but seems to struggle a bit on colder days when the WVO is more viscous. I bought one that looks the same even came with Bowser type dispenser nozzle about 10 years ago, for $120 But it died after a couple of years or less. I did not use it all that much , just to pump biodiesel to the header tank t0 gravity feed to car. The motor was fine but the plastic rotor/vane just broke. I bought a little 12v submersible pump for less than $20 which fitted into 2" opening for my 20 lt drums for trips. It was great when it was going,but it broke in the same way after little use, but it was after I pumped petrol out of a fuel tank. But the petrol thing may have been a coincidence. I just burnt out the motor in one that I bought last year, sucking up WVO. I pulled it apart and the armature was quite different to another one I had, that looks identical from the outside. It had hardly any copper windings Im surprised it worked at all. The other pump vanes had failed when it sucked up some grit so I swapped the vanes over and it works all good now. So it looks like its a bit of a lucky dip with those ebay pumps, the third pump i bought several years ago is still going strong pumping Bio. The gear pump is the better pump. Mine has lasted for at least 8 years. The o ring between the motor and pump will clap out and let oil into the electric motor. Take new pump apart and drill a 5mm hole through the bottom of the body, when you see oil weeping out replace the O ring. Also replace the 10 mm hose spigots with 12.7mm ones. I have a reversing switch on mine so if something blocks it I can reverse the flow instantly. With a clear suction hose you can stop dregs water or thick oil before it comes out the delivery. Thanks for the advice Johnno! I am just re venturing into SVO after years of Bio.